We are Stanford Advanced Materials and we supply people and companies with Molybdenum all over the world. We help and provide advice on what Molybdenum are best to suit any specific application. This blogging site is all about Molybdenum, looking at the magic refractory metal that is Molybdenum. So if you want to know a bit more about Molybdenum and related processed products, then please take a look through our blogs. And there are more to come every week. Also, the Stanford Advanced Materials website is packed full of photos and information on thousands of Molybdenum. All the Molybdenum products can be purchased online via the Stanford Advanced Materials shop. 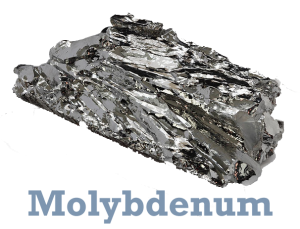 Just remember, Molybdenum is magic!